Young people learn to shape their imaginations to create positive thoughts and mental images. This lesson helps young people understand the negative effects of tension and stress, and how guided imagery can help you relax. The facilitator will lead young people in a guided imagery exercise. Before facilitating this lesson, you may want to review the following information about guided imagery. This can be shared with young people during your discussions. What is guided imagery? How can guided imagery be helpful to us? How do you do it? Guided imagery is a simple, powerful technique that can have many health-related physical and emotional benefits. It can help people feel less nervous or upset, be less bothered by pain, or achieve a goal such as an athletic or academic achievement. Through guided imagery you can learn to use your imagination to “create the state you want,” meaning that you can actually change how you are feeling and what you are focused on. Even very young children can begin to learn this skill by linking images in their minds with feelings and experiences. This introduction demonstrates the negative effects tension and stress can have on our bodies. 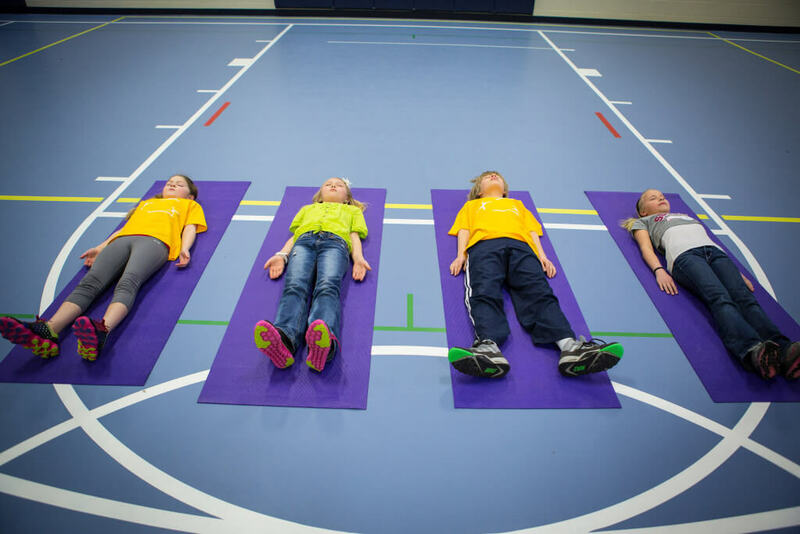 The next activity teaches youth how to reduce stress and tension through guided imagery. Use a rubber band to help describe to young people how much it can hurt us to be stretched and stressed too far or for too long. Stretch the rubber as far as it will go and point out that if we keep it in this position too long it will snap. Explain that the same thing is true for humans, we need to be able to relax, calm, down, and get rid of our tension in order to be well. Have the youth flex as many muscles in their bodies as they can and then have them hold the tense, tightened position for several seconds. As they are doing so, ask how long they think they can keep it up? Will they be OK if they have to be this tense all day? Point out that sometimes our minds are tense like that and we don’t know how to let them go. This activity teaches youth how to reduce stress and tension through guided imagery. Introduce guided imagery by explaining that it’s a way you can make pictures in your mind that can help you feel calm and relaxed. Then lead them through this simple guided imagery process. Find a comfortable position. You can sit or lie down.. Notice how you are feeling right now… your body and your mind. Take a deep breath in through your nose, and let the air out through your mouth. Take another breath, and feel your whole body getting calm as you breathe out. Breathe in relaxation….. and breathe out any worries….. breathe in calm…. and let all your worries go as you breathe out…. Now imagine in your mind a place where you feel totally comfortable and happy. This might be a favorite place you have been, or somewhere you have seen, or it might be completely made up. It’s up to you. Picture a place where you feel happy and calm. Start to add details now: What do you see there? What do you hear? How does this wonderful, calm, happy place smell? Imagine how your body feels. You are comfortable, enjoying the nice temperature….happy being still and relaxed or doing whatever enjoyable activities you participate in here. Enjoy the way you feel in this safe place. You feel calm and safe here. Remain in your place while you practice being calm and relaxed. Again notice the environment around you in this place. Take some moments to just enjoy it and be here. Soon, it will be time to leave, but know that you can return here in your imagination any time to relax, feel calm, and feel comfortable and safe. In a moment I will count to three. You can become more awake and energized on the count of three.One… take a deep, cleansing breath in… and breathe out slowly. Three…. you are feeling calm, confident, and refreshed. Hand out the Healthy Families Newsletter in English or Spanish, which also includes directions for guided imagery, so that families can practice “creating the state they want” at home.